As the weather gets colder, I find myself craving for sweet things more than usual. I’ve been especially craving chocolate lately. To ease those cravings, this hot chocolate is luckily a quick and satisfying answer. But for my other sweet cravings, I’ve had to be a bit more creative. As it really wouldn’t be good for me to eat cakes, brownies or other lovely things that I have in these cozy cafés in Amsterdam, I’ve started to make my own granola. 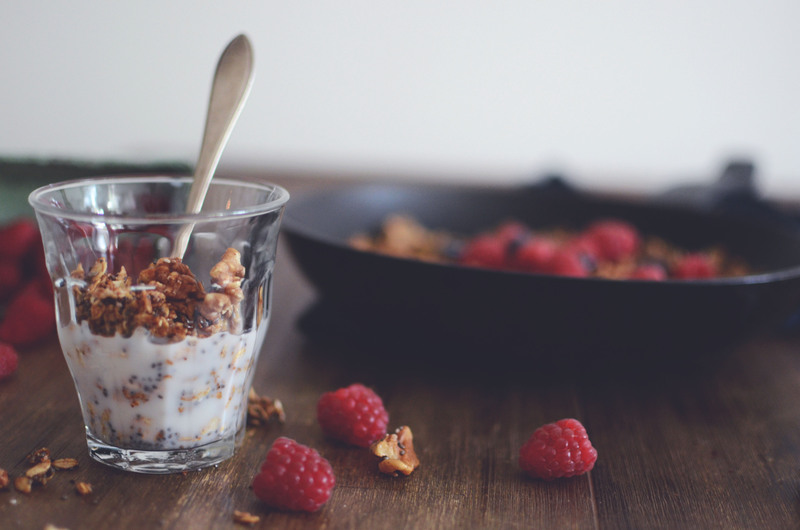 For me, granola is the perfect treat that has just the right amount of sweetness without being an actual dessert. 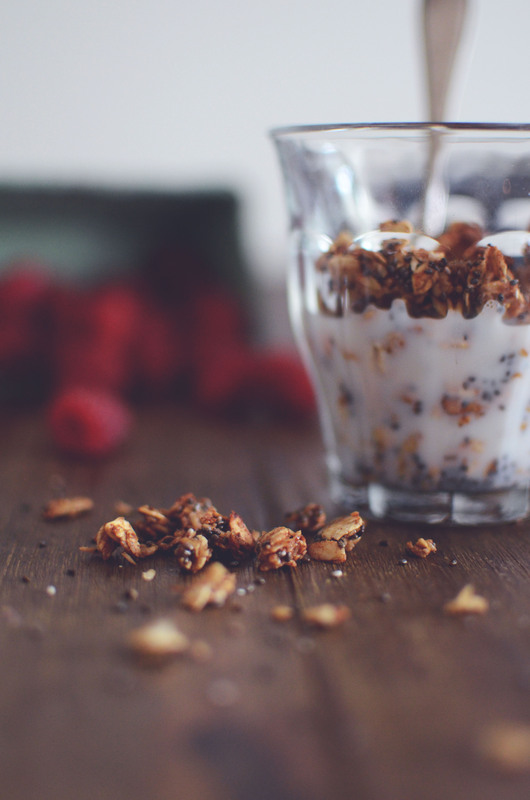 So if you’re craving for something crunchy and a bit sweet, granola might be just the thing you’re looking for. 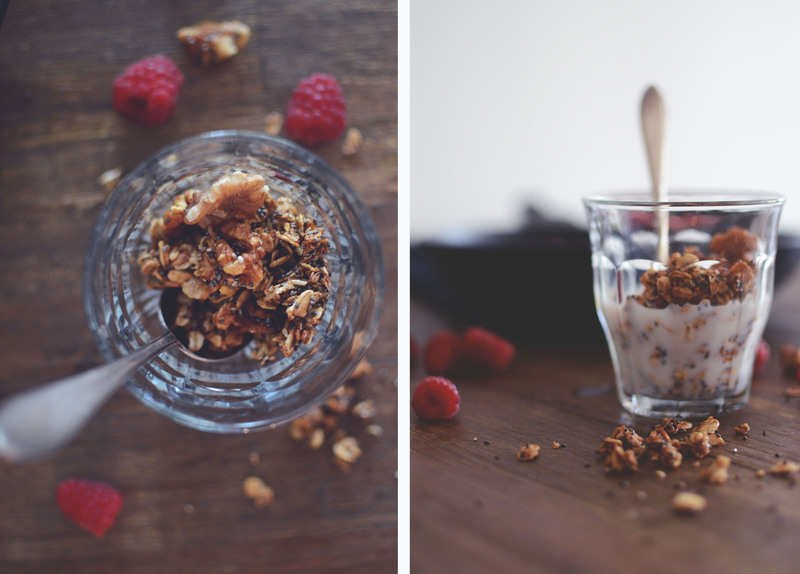 This granola is really fast to make, as instead of using an oven I made it on the stove. So it literally takes about 5 minutes to make it. So easy, but so so good. It’s perfect with almond milk and some fresh berries, but it’s also lovely as a porridge topping or with some yogurt. Heat a frying pan and add coconut oil. As the coconut oil has melted, add rolled oats and toast them for a moment, so that they get a bit of color. Be careful not to burn them though. Add walnuts and chia seeds and continue frying for a minute or two. Add spices and honey and mix well. 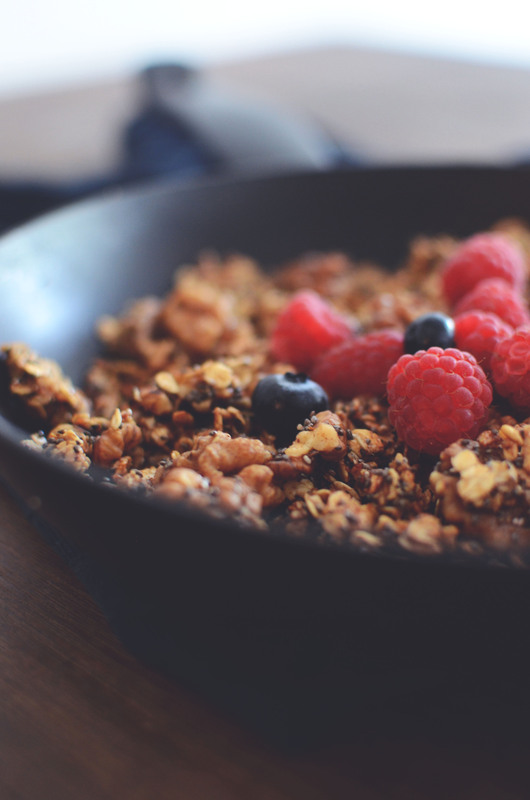 Serve with milk or yogurt and some berries and fruits. 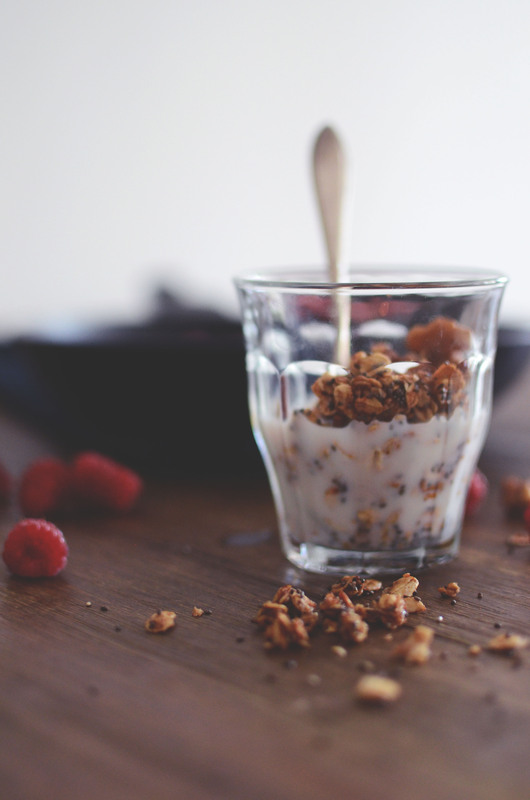 Store the remaining granola in a glass jar. Tagged breakfast, chia, granola, snacks.